This early summer period has been no exception – we’ve been super-busy on both dry-hire of PA equipment as well as operated live events. 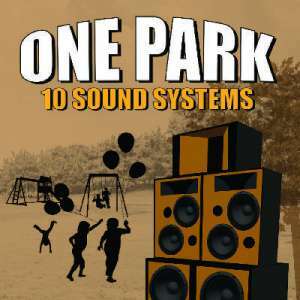 Particular recent highlights include the ‘One Park Ten Sound Systems’ event in Preston & ‘Party In the Park Arnside’. The former was part of Preston’s annual Caribbean Carnival & saw ten sound systems set up in Moor Park for a day of reggae, dub, soca & dancehall culture. Some of the old-skool, hand-built Jamaican style sound-systems were just incredible. But our neat little Fohhn LX-601 rig plus four XS-4 18″ subwoofers turned a few heads – the most compact, efficient 6 kW of high-quality sound you can imagine & it always sounds so good outside, especially on a beautiful sunny day! We also provided the live sound for a fantastic mini-festival at a beautiful location in Arnside overlooking the shore. It’s an annual fund-raiser for the RNLI & despite the weather attempting to spoil it with a 10-minute deluge of almost biblical proportions towards the end of the night, it was a great event with music from some excellent local bands & performers from the Lancaster & South Cumbria area. Back indoors we’ve also had plenty to do, including providing the PA support in the stunning Winter Gardens, Morecambe. 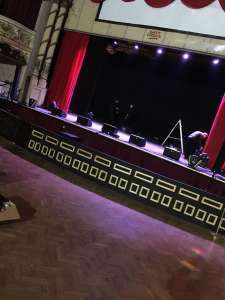 May saw the legendary Drifters grace the stage, where our compact Fohhn Linea line array system & XM-4 monitor wedges did the business sound-wise again. The rest of June & July are shaping up to be similarly busy, but please get in touch if you have a requirement for any live PA or sound equipment for an event in NW England – we’d love to hear from you : let’s hope the sun keeps shining !